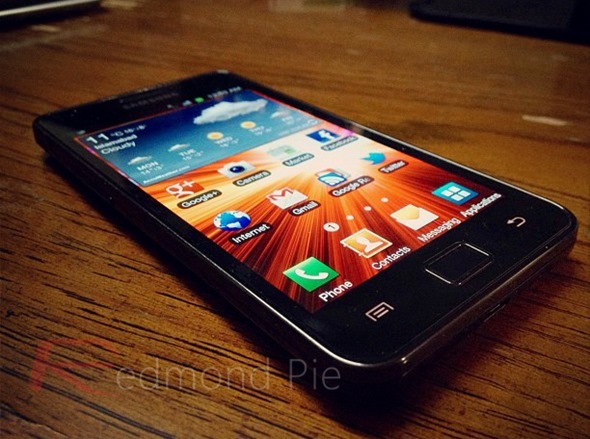 Samsung has reportedly been taking a leaf from the stalk of Cupertino rival Apple, by shifting around disguised prototypes of its upcoming Galaxy S III in order to proceed with stringent carrier testing. With the iPhone 5 unannounced, and its release presumed to be sometime nearer the holiday period, the Galaxy S III is the only device we can really get excited about at this point in time. According to Korean business and tech blog ETNews, Samsung delivered Galaxy S III hardware out to carrier partners some eight weeks ago, but in order to prevent leaks and remain inconspicuous, it was laden in what’s being described as a "lunch box" like disguise. Vendors – particularly those as influential as Samsung – runs the risk of its product being exposed long before the release unless the appropriate precautionary measures are taken to stop prototypes and sensitive information falling into the wrong hands. With Samsung putting so much time and innovation effort into its device, some of the ‘wow’ factor would automatically be lost if consumers already knew what was in store before the announcement. As well as the want for secrecy, Samsung smartphone stealth could also be due to arguments regarding the intricate final details of the product. Preparing the perfect smartphone is a meticulous process, and some outlets have suggested that key features – specifically concerning the arrangements of real and / or virtual, has caused a divide among the Korean company’s head honchos. Of course, us avid tech enthusiasts always latch on to some information, and from what we gather, the Galaxy S III is going to be a pretty big deal. As well as the ceramic design rumored to be replacing the plasticity of the S II, it’s expected to boast a 4.8 inch, full HD 1080p display with 16:9 aspect ratio, a meaty 1.5GHz quad-core Samsung Exynos processor, and an 8-megapixel rear camera. On top of that, the device will of course include 4G LTE connectivity, and arrive pre-installed with Google’s latest and greatest version of Android – Ice Cream Sandwich, which we’re quite certain, will be upgradeable to Jelly Bean whenever it comes out later this year. Rather dubious press shots have been cropping up frequently, although to Samsung’s credit, nobody seems certain that said images are a true depiction of the product. Nevertheless, we can’t wait to see it, and if carrier testing has indeed been going on for two months, the announcement may not be too far away.